With Audi Care, you can have more than peace of mind with your new Audi vehicle. 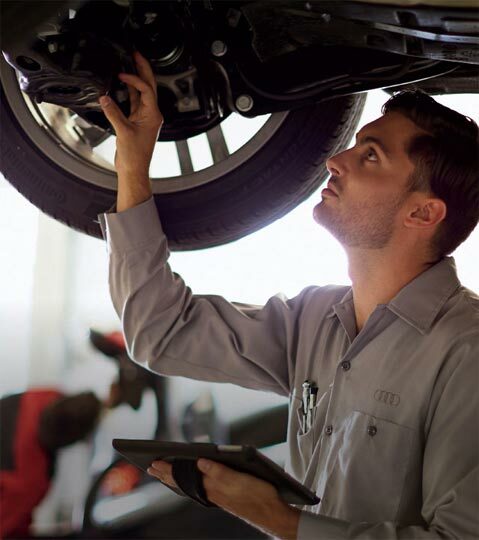 With Audi Care prepaid scheduled maintenance packages, not only can you save money, but you can also rest assured that your vehicle is getting the recommended maintenance services. Regular maintenance is important for your new Audi, even if you drive less than 10,000 miles per year, as it will help keep your vehicle running smoothly. Audi Care's comprehensive maintenance covers quite a few components of your vehicle, from the air cleaner and axles down to the spark plugs and filters. Not only that, with Audi Care, you can rest easy knowing that trained technicians are working on your Audi using genuine Audi parts and advanced diagnostic tools. What's even better? The cost of Audi Care can be rolled into your monthly payment. The recommended service is every 10,000 miles or every 12 months, whichever comes first. If you'd like to learn more about Audi Care or service for your Audi, give us a call or stop by our dealership at 200 Duvall Drive, Greenville, SC 29607. Located in Greenville, SC, Audi Greenville proudly serves Spartanburg, Anderson and throughout the Upstate.